In antiquity, Kythnos was also named Dryopis or Ofiousa. Later on, during the middle ages, the island was called Thermis, due to the thermal springs found in the Loutra area. This is mentioned in the report by Neilos Doxapatris, made in 1143 A.D. Later on, it is also mentioned as Thiramna, just like Daniel Theramnios (of Thiramna) who originated from Kythnos (1661 A.D.). The Turks called it Hamam Adashi, meaning Baths and the Italians, much later, called it Fermina. Kythnos owes its name to Kythnos, the leader of the Dryopans. The Dryopans originated from Evia and arrived on the island during the 12th and 11th centuries B.C. during the Midan years. 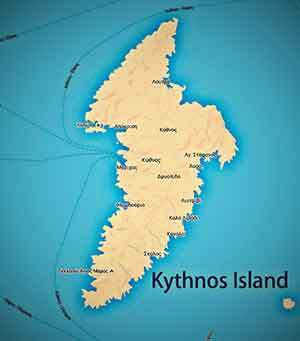 However, it seems that Kythnos and the Dryopans did not come to an abandoned island to settle in. In Maroulas, the area found near Loutra settlement, towards the north-eastern coast of the island, digs have revealed 4 graves. These are the oldest evidence of human activity in the area of Cyclades, dating back to the Mesolithic Era, which is between 9500 and 8500 B.C. These were most likely Ellino-Pelasgoi, the area’s first inhabitants. After the Dryopans, it was the Ions with their leaders Kestoras and Kelyfos who arrived on the island and established a thriving colony. Going from Episkopi beach towards Kythnos Town (Chora), the visitor will see the excavations that have brought to life finds from the island’s ancient capital. According to sources, the capital was called Kythnos and had been inhabited from the 10th till the 7th century B.C. Aristotle refers to Kythnos in his play “Peri Kythnion Politeia”, which unfortunately has been lost. In it, he describes a law abiding state, so well organized that Aristotle himself considers it ideal. Many important figures of the ancient times, writers and artists originate from Kythnos. The painters Timanthis and Kydias and the historian Agisidimos were Kythnians. During the Persian Wars, the Kythnians took part in the battle of Salamina and the battle of Artemisio. Later on, during the Peloponnesian Wars, the Kythnians appear once again as allies to the Athenians. Although they were vassals of Athens, they were also considered Athenian citizens. During the Roman Times, the island was occupied by the Romans who used it as an exile for their most prominent citizens. During the rule of the Emperor Diocletian, the island became a part of the Achaia prefecture. Later on, during the Byzantine Times it was included in the Cyclades. In 1207 A.D., the Venetian nobleman Marco Sanudo imposed Frankish rule on Kythnos, during which period 3 Venetian families ruled the island. In 1292 A.D., the admiral of Aragonia plundered the island and in 1537 A.D., the island is occupied by the Russians but only for a short time. Unfortunately, and for a long period after the Roman Times, the island suffered from pirate attacks, who also used it as their base. As a tragic outcome, the island was heavily plundered and severely destroyed by the notorious pirate Hayreddin Barbarossa, in 1537 A.D. During this period, the pirate Barbarossa had submitted to the Turkish sultan and was granted leadership of the Turkish pirate fleet. This way, his maritime power grew considerably and he was able to sail the seas virtually undisturbed. He plundered and destroyed everything in his path, spreading death and destruction gaining infamy. Kythnos was just one of his many victims. The Frankish rulers of the island abandoned their capital (the Castle of Oria) and settled in Messaria, which was already settled. In 1617 A.D. the Turks placed the island under the command of the Sultan and forced out the Venetians. The Venetian ruler at the time was Agelos Gozadinos. The Turks imposed tribute on the islanders but allowed them to practice their religion freely. The island, under Turkish Rule and until before the Greek Revolution, flourished both spiritually and artistically. The reason is the function of a high level of schooling at the monastery of Panagia of Nikous, near the capital. Among its teachers were the monks Makarios Filipeos and Georgios Serouios from Kea island (Tzia). In 1821, Kythnos was among the first islands to join (raise the flag of) the Greek Revolution and bravely fought the Turks for their freedom. Two years later, in 1823, a plague epidemic caused the death of nearly 25% of the island’s inhabitants. During the rule of King Othon of Bavaria, a position against the rule of the king known as the “Kythnian” events took place. Unfortunately, king Othon was uncompromising. As a result, riots broke out in many areas of the recently formed country of Greece and the army intervened smothering the revolution. The heads of the revolution were captured and exiled to Kythnos island. On the 28th of February 1862, the brave lieutenant Nikolaos Leotsakos from Mani, took action. At the time, he served as a garrison commander on Syros island. It is important to note here, that Leotsakos was a decorated officer because of his actions during the Crimean War (1853). Together with the Lieutenant Periklis Moraitinis (son of the future prime minister Aristides Moraitinis) and 30 soldiers he declared the beginning of the revolution against king Othon at the town square of Ermoupolis, the capital of Syros. He commandeers the steamship “Karteria”, equipping it accordingly and embarks to Kythnos. There were 50 men on the ship. The government reacted swiftly by sending the ship “Amalia”, another much faster and better equipped steamship, which pursued “Karteria” to the port of Agia Irini, where the revolutionaries disembarked on March 1st, 1862. Leotsakos freed the prisoners and joined forces with them against the government’s army. However, the lack of organization left Leotsakos with only a few men guarding a rise near Loutra. As a result, this revolution was doomed to failure and Nikolaos Leotsakos, Periklis Moraitinis and Agamemnon Skarvelis (a student), together with 2 soldiers and 3 civilians, perished. Captain Tsiros, a refractory officer, left the bodies unburied at the mercy of his soldiers who robbed them and mutilated them. The revolution failed and royal order came back to Greece, but it was not meant to last for long. The “Kythnian events” left their mark to the entire Greek population. The fallen soon became heroes and their actions were honoured in secrecy and spread via poems, scripts and popular songs. When, later on, Othon fled from Greece, the fame of the heroes was officially restored. A marble plate at the bay of Agia Irini, is dedicated to those who lost their lives. On it, the date of the event and the names of the heroes inform visitors about the monument. The “Kythnian events” contributed significantly to the fall of king Othon. During the 2nd World War, Kythnos suffered once again. 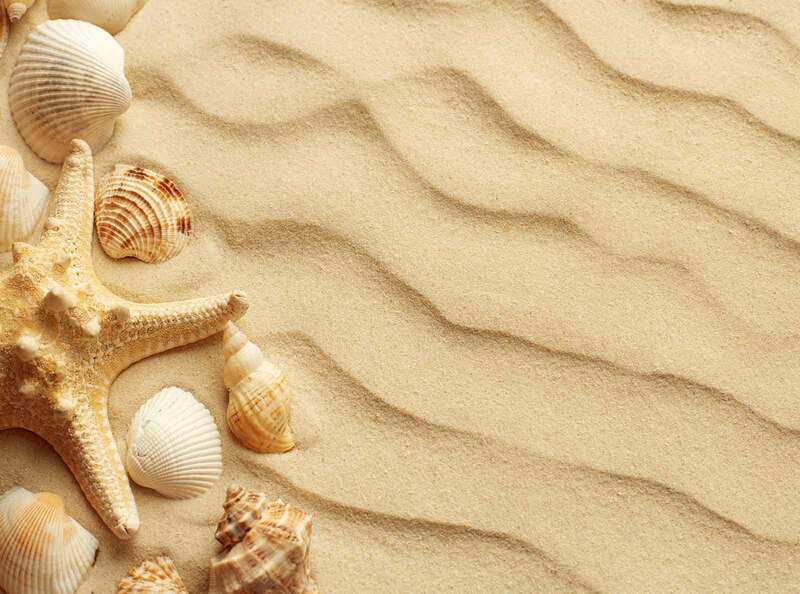 The intense mining activities that occurred between 1870 and 1940 had helped the island to flourish once again. However, during the 2nd World War the factories were abandoned and decayed with time. This forced the locals to turn to agriculture, animal husbandry and fishing.